It’s hard to know where to start with this entry. When we hark back to the dark days before the dark days, which were Steven Naismith’s injury in October 2011, the slide to the bottom of Scottish football began there. Manager Ally McCoist simply couldn’t figure a way to replace the Scotland international, and Neil Lennon’s Celtic easily overtook top of the table Rangers and Ally’s men, trying everything from Sone Aluko, to Juanma Ortiz to Matt McKay (remember him?) just felt Naismith’s void too much. Then we had February’s nightmare announcement of admin, and the club’s fall from the summit of Scottish football accelerated rapidly. We all remember the horrors of those days, the sinking vile feeling in our stomachs that we were losing our club, that Rangers would be no more. This would have driven many to suicide – that’s what football means in Scotland, and in Glasgow especially, and whether we like it or not, the rogue’s gallery of Charles Green, Derek Llambias, Mike Ashley, and the Easdales are part of why we still have our club. Whatever you think of their motives, methods or character, they all had a role to play in keeping us afloat, but either way, those days were grim and hellish. Yesterday’s win over Hearts is quite simply, aside the defiant win over Celtic in Spring 2012 at Ibrox, the most important result in seven years. Rangers, whisper it, are top of the table following a monumental effort to get there, to reach the summit of our game again. The hardest journey in football history and we’ve gone from the bleakness of Brechin’s hedge to the top of the country. Of course, feet on the ground – it’s not complete yet. We remain a work in progress and this month is potentially going to be the biggest in our recent history. The Old Firm looms large and the picture may well have changed again before we even welcome our eastern friends to Ibrox. But right now Rangers are, justifiably, the best team in Scotland and Celtic have to play catch up. 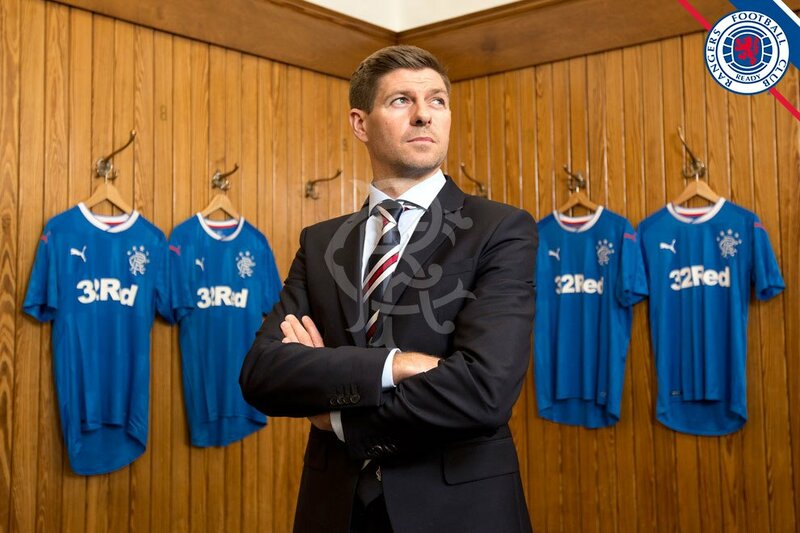 Until they secure their game in hand, they are under pressure, knowing for the first time that this Rangers team is starting to look serious. We know Celtic remain the benchmark overall, we’re not silly. But to see our side on top of the division via pure merit is one of the most stunning journeys we can remember. An entire generation has grown up and is approaching a decade old witnessing this transcendence. They might not fully remember it, but their parents and older siblings sure will – and in years to come, these will be stories for children and grandchildren, just as 72, 93 etc are today. Do not underestimate what Steven Gerrard has achieved. We’ve certainly been critical now and then of him here on Ibrox Noise, but we would also point out we’ve been more positive about him overall than we have about any manager since Walter Smith. He’s a rookie manager and he’s taken his men to the top. Added to that the cusp of last 32 action in the Europa League and you’d have to say what Gerrard’s done the past few months has bordered on miraculous. The Journey is not over. We’re well aware it takes more than one match to truly believe it’s there yet. And we’re well aware there will be dips, and Gerrard will make mistakes, and we’ll call those if and when they happen. But right now Our Rangers are top of the league on merit, and it tastes heavenly. I would agree with that 100%. With an added caveat, that those dark days must NEVER, be allowed to happen again. We need to know from our financial experts, within the club, that that set of circumstances, can never come about, again. This is why I advocate 'grilling' the board, at every AGM. To ensure they don't do anything as stupid, as David Murray (refuse to call it, Sir) again. Our competitors would love, to see us in admin2. But that, must never occur. Tight financial audits every year and a 'close eye' on DK, must be kept. We all know about the rumours of his past,'shady-dealings' in SA. I like how he stands up for the club, but I don't know if I 100% trust him. Enjoy our day in the sun however grief it may be. It's taken a long time to get back there but be under no illusions we still have a LONG way to go. But this is another hugely important step in our road back to the top. We are making progress but talk of winning the title is still premature. Beat Ceptic at the end of the month and I'll be happy to reconsider my opinion. Our immediate target should be put all other contenders firmly in their place then focus on that other lot. I'm over in canary islands at the moment was in the Highlander pub a good bears shop 2 Chelsea fans told me Gerrard people are in talks with Southampton is any of this being discussed back home they did seem pretty convincing. We Have Done Fantastic getting to this Point!